Have you ever wanted to photograph lighthouses at night? 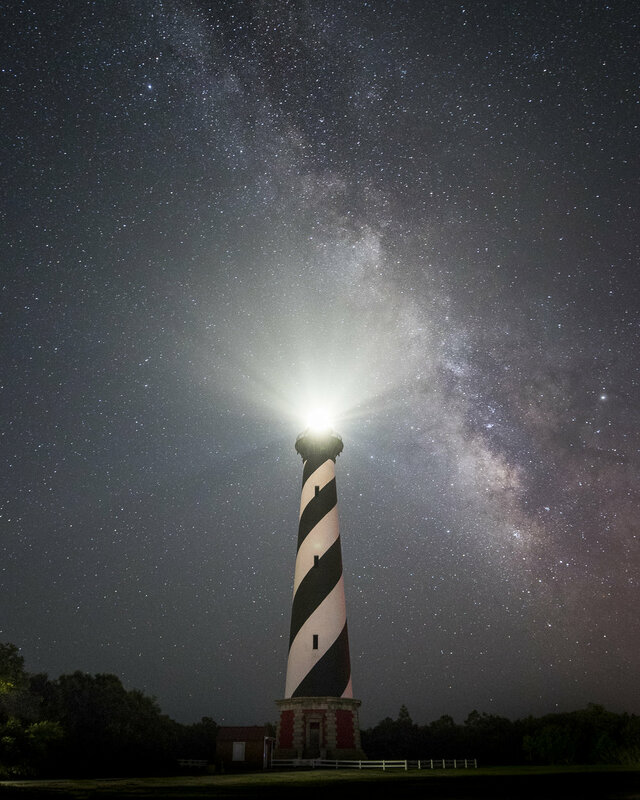 Join Neil on this star filled night, photographing the Cape Hatteras & Bodie Island Lighthouse. The outer banks of North Carolina are true dark skies. Learn how to find the right settings to be able to capture detail in the milky way. For the beginner to the seasoned pro, space is limited so register quickly. If you have any questions, please feel free to contact Neil with the form below. Location: We will be photographing at the Cape Hatteras Lighthouse and Bodie Island Lighthouse. We will be photographing landscapes. We recommend & prefer a wider angle lens 35mm or wider will do fine. If you would like to contact me to let me know what you have I would be happy to help out.